The vision for YANA (You Are Not Alone) Cancer Comfort was born when three cancer survivors John Gronnel, Bill Lange and George Lambrakus were asked to consider how a small church could practically demonstrate the love of Jesus to others living and battling cancer. The three met at a coffee shop and the idea to send comfort packages to cancer patients was born. The three founders wanted the packages to be deeply personal and encouraging. The content of the comfort package would develop over time as the organization grew. 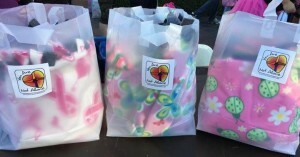 The comfort packages include hand tied fleece blankets, handmade caps, a daily devotional and a personal note of encouragement from a cancer survivor. During the early years, YANA went through many thrilling and challenging times, including the passing of one of our dear friends and co-founders George Lambrakus, to cancer. The first version of YANA abruptly ended after only a couple of years. It gave rise to the current version, birthed by the relentlessly committed family of volunteers from around the country. The volunteers loved what YANA stood for and saw the great need to provide comfort to cancer patients; they just wouldn’t let YANA end. YANA Cancer Comfort began in one of the founder’s garage, with only $400.00 and no way to raise money to fund the making and delivery of comfort packages. The volunteers rallied, and YANA Cancer Comfort (YANA) was formed as a non-profit Christian organization. Our mission is to provide God’s faith, hope and love (based on 1 Corinthian’s 13) to anyone living and battling cancer. It is only because of God’s amazing grace and the family of volunteers, made up of all denominations, religions and beliefs from around the country that YANA was re-born and thrives today. Based on the three founder’s vision YANA Cancer Comfort was incorporated on November 7, 2014, and is a 501(c)(3) not-for-profit Christian organization. YANA is headquarter in Southern California. Daily cancer comfort packages are delivered throughout the USA and internationally because of the loving support of the family of volunteers. YANA will send cancer comfort packages to anyone living and battling cancer anywhere in the world, any time, free of charge. YANA Cancer Comfort board of directors have been affected by cancer either directly or through a loved one and know first hand what it is like to face the pain and anguish of this disease. Their experiences led them to a new understanding that God did not create us to be alone in this life or in this battle. 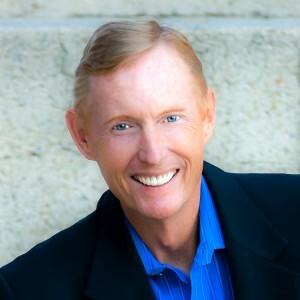 My name is John Gronnel and I am a two-time survivor of Non-Hodgkin’s Lymphoma. I was first diagnosed in 2000 and again in 2010. When I got the news I felt like I was living a nightmare. I had always been an athlete and physically fit, this couldn’t be happening to me. Sadly it was, and although I was pretty asymptomatic when diagnosed, the cure and treatment caused me a great deal of pain and anguish and left me with long term side effects, many of which I still suffer from today. I won’t go into the details of the treatment, only to say I was hospitalized three separate times with 102° fevers, severe dehydration, given multiple transfusions, and ultimately had to have a bone marrow transfusion, along with major surgeries to save my kidney. The reason I mention the treatment is because in my darkest moments so many individuals and survivors reached out to me with words of encouragement, cards, texts and phone calls. The second time I went through treatment a group of ladies made me a blanket and a young boy gave me a chemo cap. Those items carried such deep meaning for me. YANA Cancer Comfort was started by cancer victims who wanted to reach-out in many of the ways that were meaningful to us. The scripture from Jeremiah 29:11 gave me such hope and comfort and it is my prayer it will do the same for you as well. As someone who has walked in your shoes, I want to make myself available to you and your family. If you should ever need to speak to someone who has been there please don’t hesitate to call me anytime day or night as the need arises. I know speaking to others helped me cope in my lowest and loneliest moments. My email is john.gronnel@yana-cancercomfort.org. You can contact me anytime. Please know that all of us at YANA are praying for healing and God’s abundant grace for you and your family.